Rubys Rubbish T Shirt Un-boxing! 50 ways to brighten up someone's day. Barbie and Brandie, the EIC and Senior Editor of Southern Sass magazine and Sassy Couture magazine bring to you TWO publications. 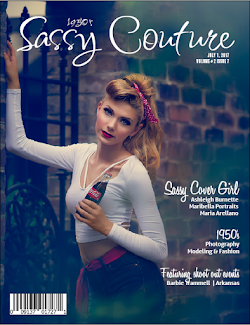 Southern Sass Magazine, southern based, in fashion, recipes, entertainment, short story, and opinion articles! Southern Sass Magazine 2014-2015. Powered by Blogger.